A metal-poor star located merely 190 light-years from the Sun is 14.46+-0.80 billion years old, which implies that the star is nearly as old as the Universe! Those results emerged from a new study led by Howard Bond. Such metal-poor stars are (super) important to astronomers because they set an independent lower limit for the age of the Universe, which can be used to corroborate age estimates inferred by other means. In the past, analyses of globular clusters and the Hubble constant (expansion rate of the Universe) yielded vastly different ages for the Universe, and were offset by billions of years! Hence the importance of the star (designated HD 140283) studied by Bond and his coauthors. “Within the errors, the age of HD 140283 does not conflict with the age of the Universe, 13.77 ± 0.06 billion years, based on the microwave background and Hubble constant, but it must have formed soon after the big bang.” the team noted. 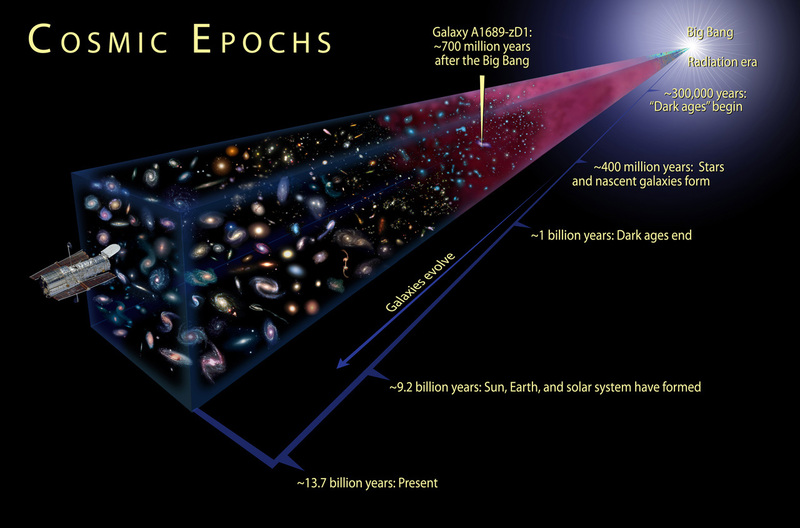 Metal-poor stars can be used to constrain the age of the Universe because metal-content is typically a proxy for age. Heavier metals are generally formed in supernova explosions, which pollute the surrounding interstellar medium. Stars subsequently born from that medium are more enriched with metals than their predecessors, with each successive generation becoming increasingly enriched. Indeed, HD 140283 exhibits less than 1% the iron content of the Sun, which provides an indication of its sizable age. HD 140283 had been used previously to constrain the age of the Universe, but uncertainties tied to its estimated distance (at that time) made the age determination somewhat imprecise. The team therefore decided to obtain a new and improved distance for HD 140283 using the Hubble Space Telescope (HST), namely via the trigonometric parallax approach. The distance uncertainty for HD 140283 was significantly reduced by comparison to existing estimates, thus resulting in a more precise age estimate for the star.